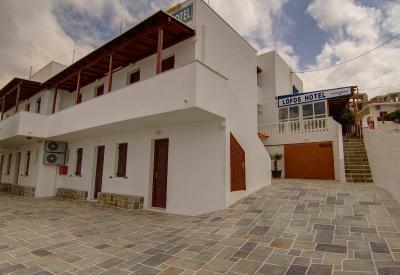 Lock in a great price for Hotel Lofos - The Hill – rated 8.8 by recent guests! The people were really nice. 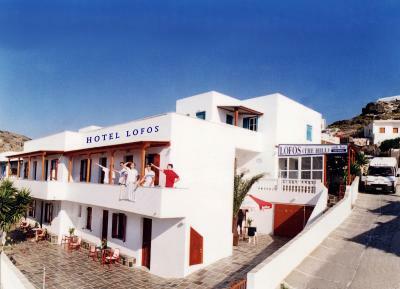 We had a really nice staying in lofos hotel in Ios. Aircon, nice staff, helpful, tv to chill out and watch even tho it was just in Greek haha. Pool was clean and well looked after. Location was perfect. Nikos est disponible, accueillant et à l'écoute. Transfert du port jusqu'à l'hôtel et inversement. Bonne situation géographique et superbe vue. Super séjour, merci encore ! Όλα ήταν όπως θα έπρεπε ... Καθαρά, ήσυχα. Οι άνθρωποι του ξενοδοχείου πάντα με ένα χαμόγελο. Fantastisk hyggelig personal, flott bassengområde (på nabohotellet) og ok priser på mat og drikke. Hotel Lofos - The Hill This rating is a reflection of how the property compares to the industry standard when it comes to price, facilities and services available. It's based on a self-evaluation by the property. Use this rating to help choose your stay! 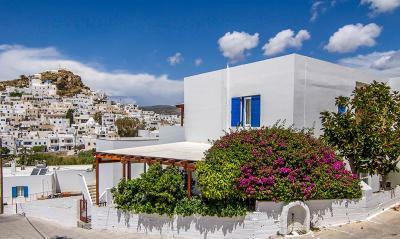 The Cycladic-style The Hill is centrally located in Ios Town, within a walking distance from restaurants, bars and shops. 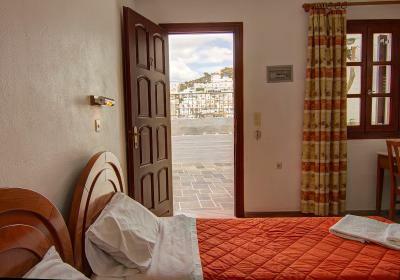 It offers free 2-way transfer from the port and air-conditioned rooms with free WiFi and a shared balcony. 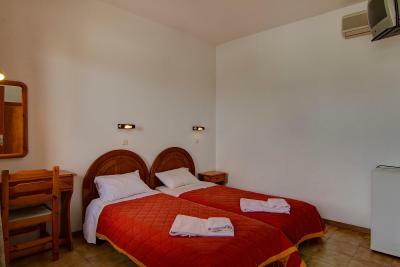 The rooms of Hill are fitted with tiled floors and dark-wooden furnishings. Each unit is equipped with a fridge, a TV and a safe. The private bathroom comes with a shower. Most units enjoy views over the old town of Ios. 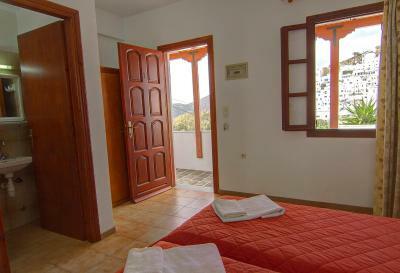 Ios Port is located within 1.2 mi from the Hill, while the famous Mylopotas Beach is 0.9 mi away. The sandy beach of Agia Theodoti is at 7.5 mi. Free public parking is possible nearby. When would you like to stay at Hotel Lofos - The Hill? 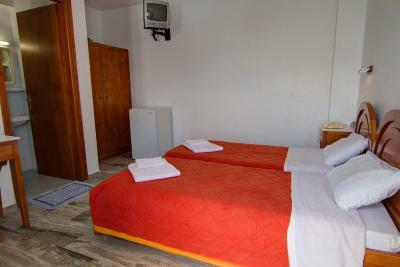 Air-conditioned room with free WiFi and a shared balcony. 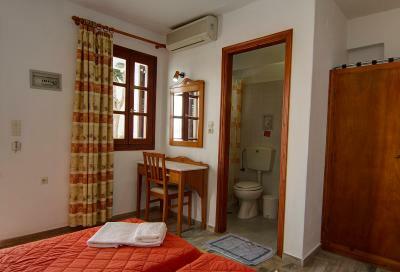 It is equipped with a fridge, a TV, a safe and a private bathroom. Most units enjoy views over the old town of Ios. 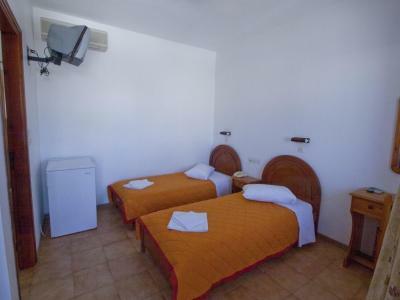 This quadruple room features air conditioning and free WiFi. House Rules Hotel Lofos - The Hill takes special requests – add in the next step! Hotel Lofos - The Hill accepts these cards and reserves the right to temporarily hold an amount prior to arrival. Staff at times could be rude and entered room without knocking.